Is the Langham Hotel Haunted? The Langham hotel was designed by architect John Giles and built between the years 1863 and 1865. It was the largest and grandest hotel in London at the time of its opening and featured the first hydraulic lifts in England. Opened by the Prince of Wales himself, the hotel was regularly visited by the likes of many very rich and famous people, and even royalty such as Diana princess of Wales who considered it one of her favorite spots. This was due to its reputation and additions such as having electric lighting in the entrance and hallways since 1879, which was an exceptionally early date for such a thing. The hotel cost a total of £300,000 to build and has seen various highs and lows in its time, including having to be sold for half its construction value during an economic slump. The hotel was also used by the army during world war 2 until it was damaged by a German bombing raid and forced to close. After the war it was used by the BBC as accommodation, until they finally bought it in the year of 1965. 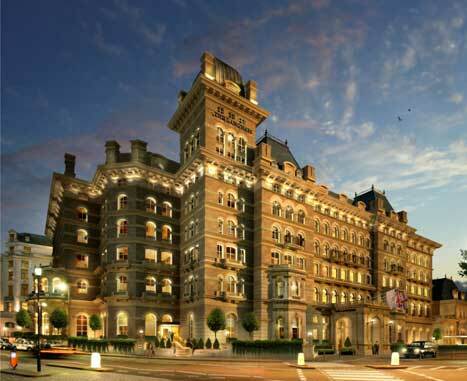 After various changes of ownership and an enormous amount of money going into its refurbishment, the building is now open as one of London's grandest and most well known hotels. The Langham hotel is thought to be a bed of paranormal activity with hundreds of witness's claiming to experience things, including various film stars and the English cricketers, Stuart Broad and Joe Root. The activity at the hotel didn't start to be frequently reported until the BBC came into possession of the building, when five different ghosts were regularly seen. The most well known ghost at the hotel is thought to be that of a German nobleman who is rumored to have committed suicide at the hotel by throwing himself out of a window on the top floor. Staff and visitors at the hotel have reported seeing his apparition walking along the hallways and through walls and closed doors. It is also said that when he is close there is a sudden and intense temperature drop which alerts people to his presence. The most haunted area of the hotel is thought to be that of room 333. It is within this room that the spirit of an old man lingers, though who he is and why he remains is unknown. He has been described as being an elderly gentleman dressed in fine Victorian evening wear and having no lower legs past the knee. People who have claimed to have seen him have all reported the same thing, claiming that he appears at first as a ball of light, much like and orb but then forms into the shape of a person. People who have stayed in the room have also claimed the spirit has lunged towards them, with arms outstretched and eyes wide open as if he means to do them harm, by has never even touched anyone never mind hurt somebody. As for other paranormal activity in the hotel there are all the usual claims of orbs and disembodied voices and footsteps echoing from empty corridors, but with a building this size which has 500 rooms it would be very easy for people to think there was something there, when the sounds could very well be coming from a floor above or below them. “In this room a BBC newscaster woke up to see a florescent ball of light which slowly took a human shape. The apparition hovered two feet above the floor the lower portion of its legs missing, it was dressed in extravagant Victorian evening wear. The announcer tried to communicate with the ghost asking what it wanted, the spirit slowly started to move towards the newscaster arms outstretched eyes empty.